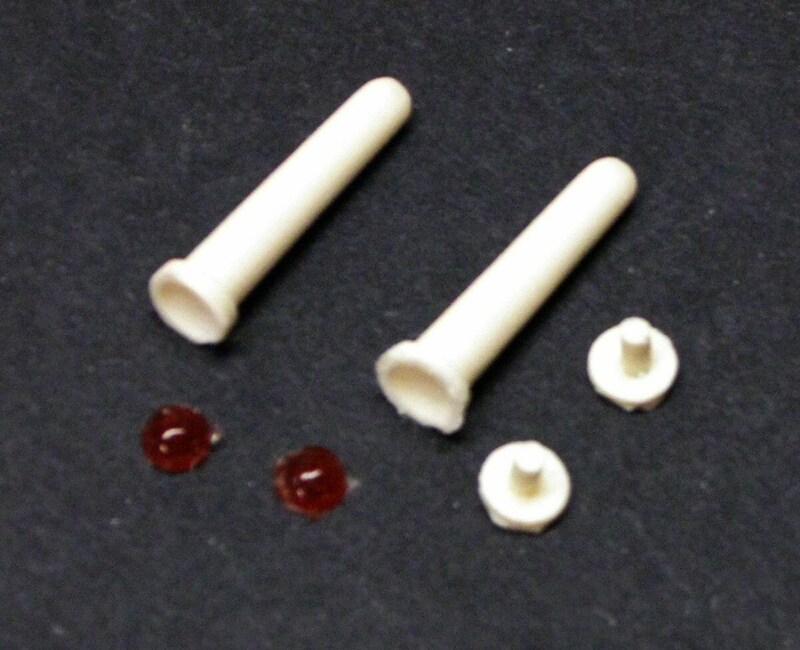 This is a pair of resin torpedo lights for 1/25 and 1/24 scale model emergency vehicles. These are suitable for any 1950s-1960s emergency vehicle model in a comperable scale. 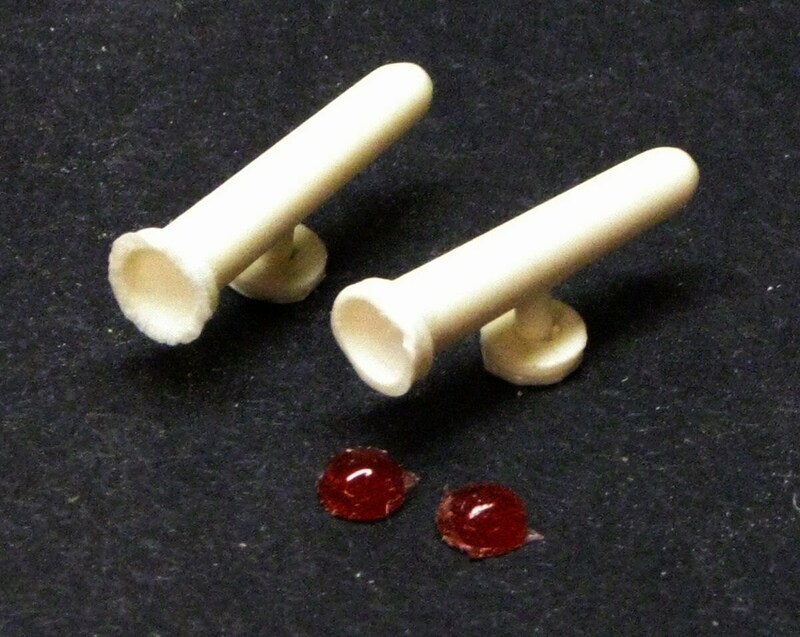 This set includes two resin housings, two resin bases, and two resin red translucent lenses. The housings measure approximately 1" long. They have minor air bubbles and flash and requires minimal clean up. They can be painted with enamel, acrylic, or lacquer paints. These are scale model parts for scale model cars. They are not actual automobile parts. They are completely inert and nonfunctional.